Microsoft's new Windows 10 operating system can now be installed on PCs and tablets for free that have a Windows 7 or 8.1. The new OS comes with a lot of added features like the new Start menu, Action Center, Cortana, Edge, and multiple desktops. If you are using free upgrade of Windows 10, all of your apps, data and most of your system settings are brought over from your older OS that can adversely affect performance of the device. Hence, it is recommended to have a clean install when moving to a new version of Windows, as will give you an uncontaminated experience without any issues that may crop up due to the upgrade. The clean install can de done before or after you have upgraded to Windows 10, when your computer still runs Windows 7 or 8.1. Let's have a look how you can make a clean install of Windows 10. Firstly, you need to have a Windows 10 installation media along with a valid Windows 10 license to perform a clean install. Then, you require a bootable USB drive, as it is faster, compatible with ultra-slim devices without an optical drive, and also portable. It is recommended to back up everything before you go for clean install or else you are at risk of losing important data, which can may be difficult and sometimes impossible to recover. However, if you do intend to buy a new Windows 10 license, then it would be recommended to get the new operating system loaded directly onto a bootable USB drive. Microsoft is offering this option for the first time. You can also create your own bootable Windows 10 USB drive. An official tool that automates the process has been released by Microsoft. However, if you have already built your own computer, then you can install Windows 10 on it using the flash-drive creation method. Choose to boot the computer from the flash drive and the installation process will start. Note that this method is quite involved (though self-explanatory) so that you are sure of what you are doing. 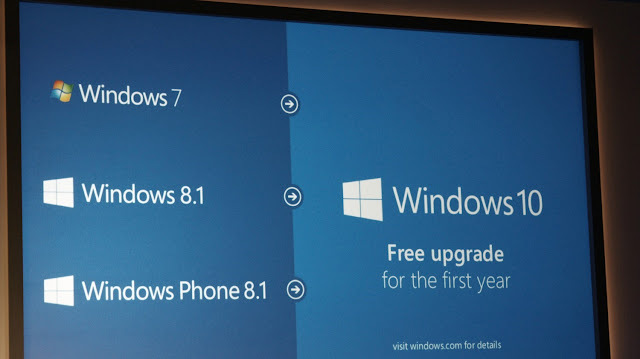 Users of Windows 7 or Windows 8.1 can take advantage of the free upgrade offer and upgrade the operating system to Windows 10 first, so that the license can get validated for Windows 10. However, it is mandatory that you would have to use Windows 10 on the same PC that you have upgraded on. Following the upgrade, once your copy of Windows 10 gets activated by Microsoft, you can go ahead and do a clean install of the operating system. Also, make sure that you have cleanly installed a suitable version of Windows 10 for the Windows 7 or Windows 10 license that you have. To find out which version of Windows 10 you need for the clean install, right click on This PC (found on the desktop, also known as Computer in Windows 7), select Properties, and search for the version of the operating system that is installed on your PC. Your license (product key) will not be accepted, if you do not use the same version for the clean install. You can now make a clean install of the operating system with the bootable Windows 10 USB drive and product key. You need to configure your PC appropriately, if you want it to boot from that USB drive. To do that, you need to go to its boot menu and press a button on your keyboard to trigger it immediately after powering it up (or restarting it). It depends on your PC what precise key you need to press; however, it is generally listed right after your PC starts (or restarts). The same can be done from the UEFI or BIOS menu. After this process is over, and with the bootable USB drive plugged in, your PC will take you directly to the Windows 10 setup. However, you need to watch out for the partitioning stage, where you will have to format the drive that you wish to clean install Windows 10 on. You will have a fresh install of Windows 10 waiting for you, after the setup is complete.